This wonderful town home is ready for you to move in ! The Eat-in kitchen with white cabinets is bright and spacious. The living room/dining room offer a fireplace surrounded by beautiful built-in bookcases and cabinets. Gleaming hardwood floors on the First Floor. Upstairs a Master Bedroom with bath and walk-in closet and 2 more bedrooms with a shared hall bath. Upstairs laundry. Conveniently located in the Hollymead neighborhood and less than 1/2 mile from the Hollymead Town Center. 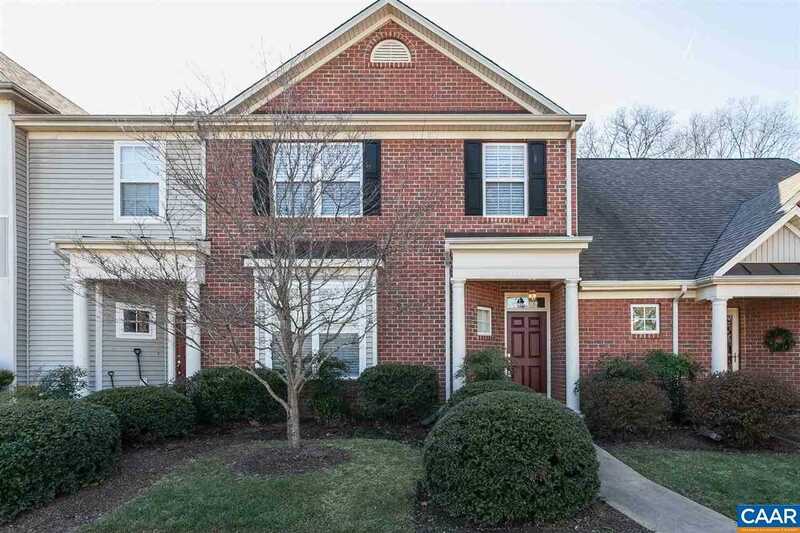 Please, send me more information on this property: MLS# 585392 – $271,999 – 1139 Somer Chase Ct, Charlottesville, VA 22911.